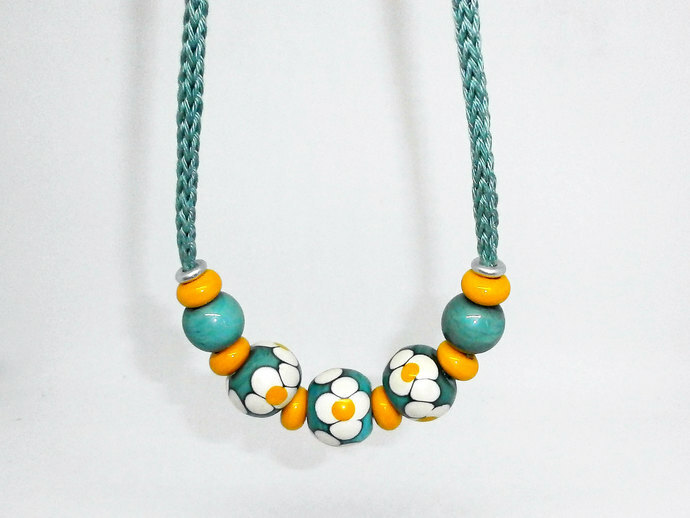 Voila - A new Sample Necklace, continuing with my White Summer Floral theme and still Textile Inspired I have put together a Large Bead Summer Necklace. 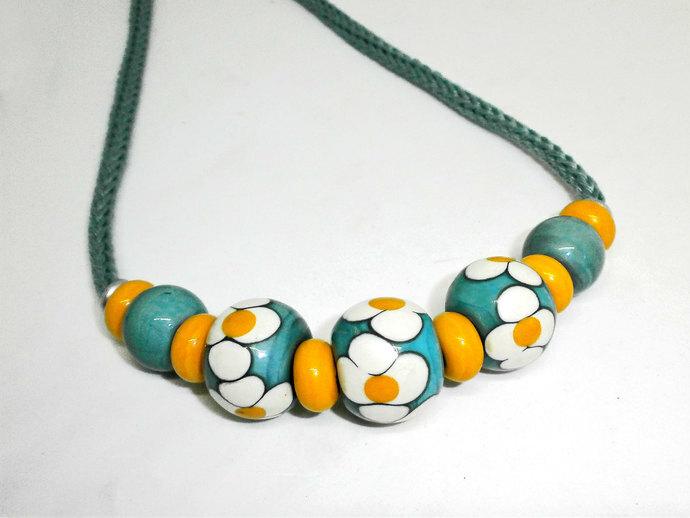 These are really big beads and this necklace would look great for day wear and can be dressed up or down. 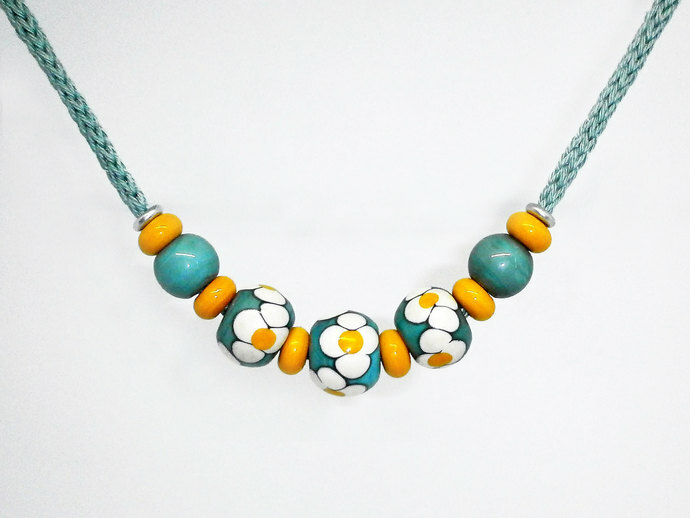 I have used Grungy light Turquoise Blue decorated with big White Flowers with bright Yellow centers, accented with matching Yellow Spacer beads and 2 Blue rounds strung together on one of my Silvery Blue Cotton Cords. 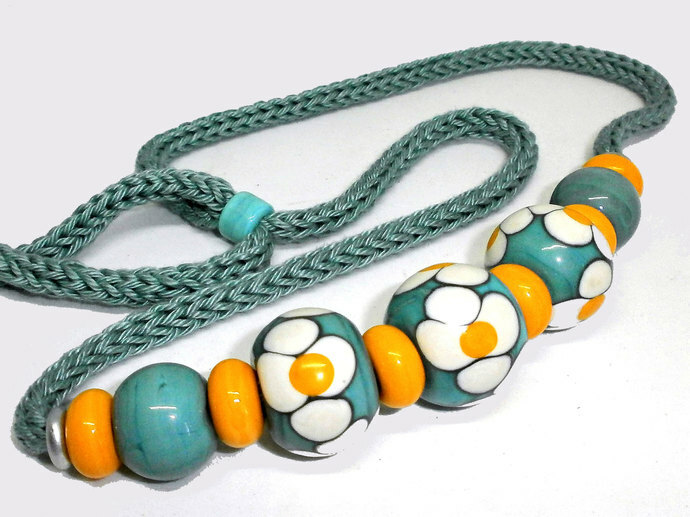 I have made this Necklace fairly long so it just slips over your head and it can easily be adjusted by pulling the cord ends, these are held together by a blue bead and the ends have been finished with Knots. The Cord measures approximately 70cm long and I can adjust this according to your requirements. 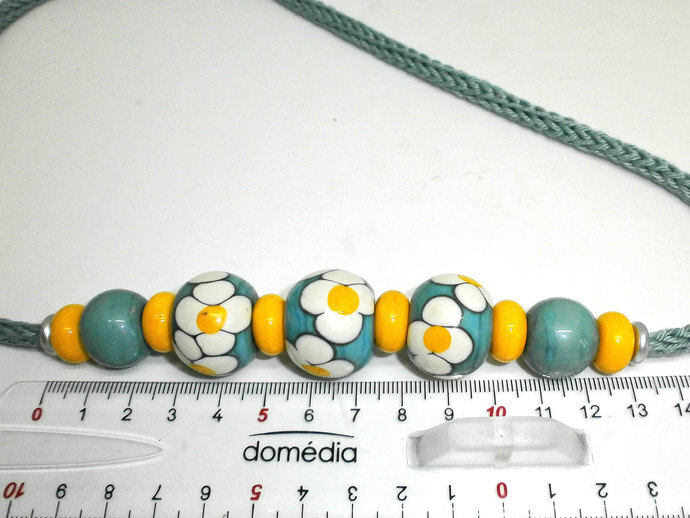 Bead size: The Beaded Section measures 125mm long with the biggest bead 20mm from hole to hole and 23mm in diameter. 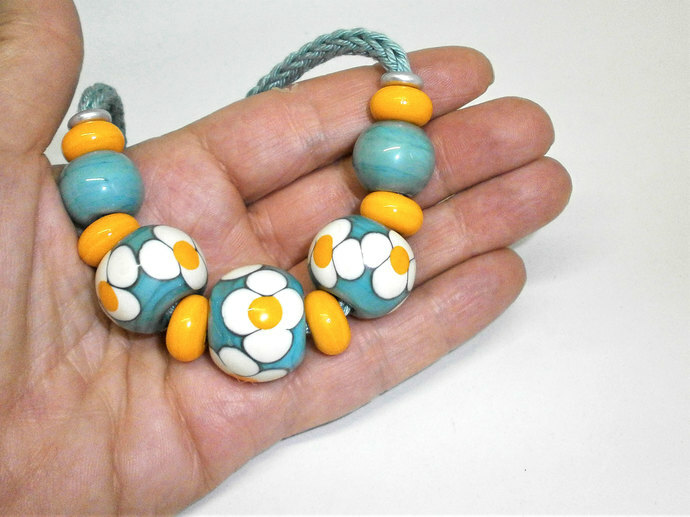 I used Effetre Glass for these beads. All my beads are carefully cleaned and annealed in my digital kiln.